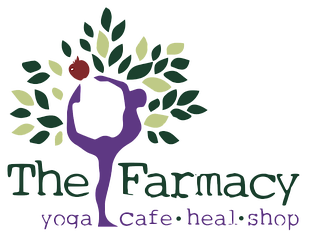 The Farmacy is a recommended healthy hang out place in Marbella. A place where you can grab a great cup of coffee, or read a good book and have a chat. 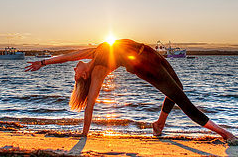 Check out the awesome types of yoga lessons available and then get a great massage, or vice versa thats up you. They also have healthy fresh food for everyone's taste buds. On Sundays they have a super cute hand craft market that welcomes all the family. Yoga & Pilates: Different types and levels of lessons are available Monday - Friday: 9:00 - 21:00 and Saturday: 9:00 - 14:00. They also provide private lessons for those that want more of a personal approach or simply cant fit the classes available in to their schedule. They offer Rocket, Anusara, Vinyasa, Hatha, Acro and FlyingYoga to mention a few. Pilates, flamenco lessons and many more. Wellness: They offer several types of massage, beauty treatments like facials and radio frequency therapies. They encourage playing with your senses to rest your body, switch of and soothe your soul. They also offer a yacht trips with open bar, fruit plates and snacks including a relaxing massage on the deck. Shop: Their shop includes really funky fitness attire as well as few other little trinkets. Cafeteria: You don't have to be a member to pop in for a great cup of coffee or the dish of the day. They have great carrot cake and amazing detox drinks. Not everything is organic but nutrition is in mind, allowing for lots of yummy foods. On Sunday mornings they have a Farmer's Market that welcomes all the family even the dogs! The Farmacy is a real place for real people. It is your neighbourhood hang out, laugh and learn a lot. For more information on everything great they have to offer contact them via there details below.